Representatives from GTI Capital Limited visited IITA Ibadan recently, to explore business ideas that can emanate from IITA’s research and knowledge and identify potential areas for collaboration. Ranajit Bandyopadhyay welcoming Mr Lawal. 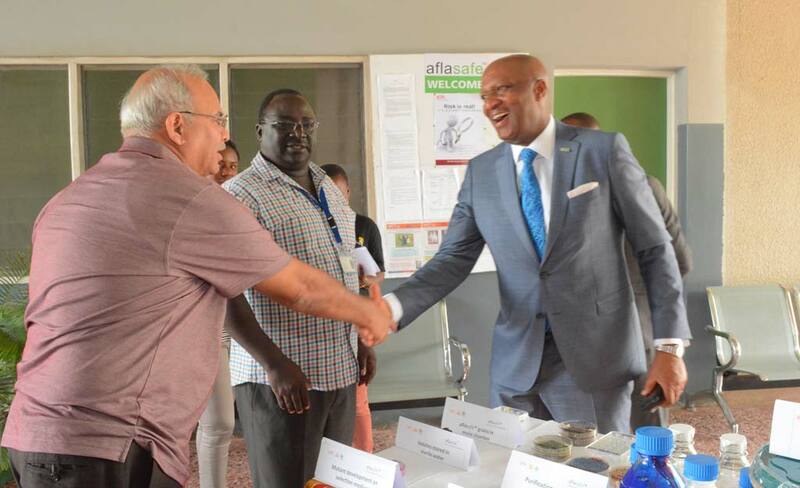 A delegation comprising Chief Executive Officer (CEO) of GTI, Abubakar Lawal, and his Chief Operating Officer, Kehinde Hassan, was received by IITA Deputy Director General, Partnerships for Delivery Kenton Dashiell; IITA Director, Country Alignment and Systems Integration Kwesi Atta-Krah; and CEO of IITA Business Incubation Platform (BIP) Frederick Schreurs. DDG Dashiell highlighted IITA’s achievements and major breakthroughs over the past 50 years, while emphasizing the need for collaboration. “We welcome you to IITA where our core belief is that for agriculture to improve, it must happen through business. 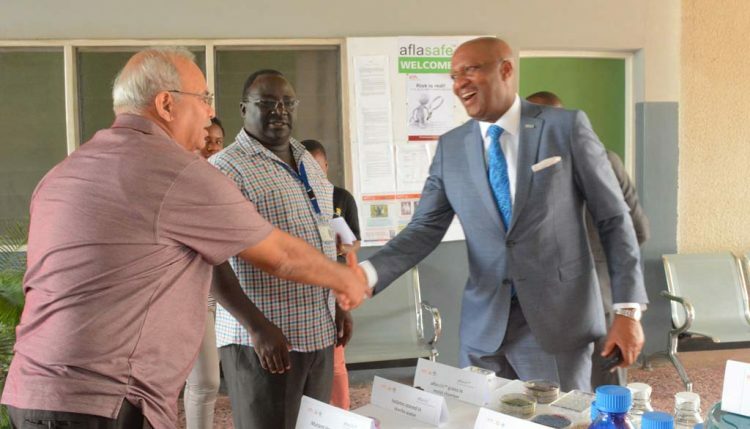 The government can create the environment but the real driving force is agribusiness; be it in production, processing, marketing, or transporting,” he said. In addition, Schreurs pinpointed the role and importance of BIP in Africa as he emphasized areas for intervention and support to help advance research in IITA. GTI is a leading Nigerian investment banking group with proven expertise in financial advisory services, securities dealing (fixed income and equities), asset management, and private equity.